Robots and monsters! Pacific Rim, Guillermo del Toro’s soon-to-be blockbuster, sounds like pure nerd fantasy. Yet one aspect of the story sounds remarkably true. In the film, humanity is attacked by giant monsters called kaiju, that emerge from an inter-dimensional portal in the Pacific Ocean. To stave off destruction (or worse, having to move inland) nations rally to build equally large fighting robots called jaegers. The jaegers push the limit of what is technologically possible. They’re a bold vision tempered by the threat of imminent destruction. Strip away the monsters and robots, and you’ve got a scenario very similar to the one that led to the Space Race. Just as the characters in Pacific Rim live in constant fear of a kaiju attack, the real people of the 1950s and 1960s lived in constant fear of global nuclear war. 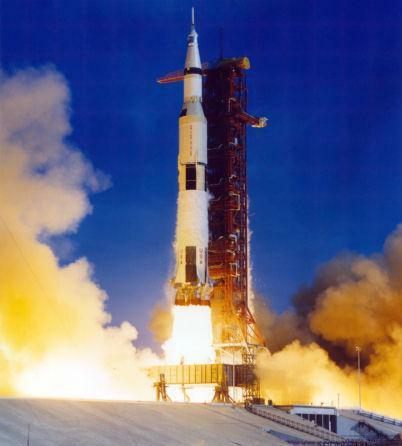 Instead of building robots, Cold War Americans and Soviets built rockets. Instead of defeating giant monsters, the goal was to demonstrate technological superiority and deny the enemy a foothold in outer space. Sure, it’s easy to compare the fictional technological achievement of giant robots with the actual achievement of giant rockets like the Saturn V, but what really links Pacific Rim and the Space Race isn’t the human ability to create and wield technology, it’s the attitude that makes it happen. Indeed, we wouldn’t have had sophisticated rocket technology or legions of trained pilots and engineers without the military. In that case, Pacific Rim might be a better explanation of the motivations behind human space exploration than Star Trek. Still, there is a non-cynical way to look at this. The positive side of both the jaeger and space programs is that they were all-out efforts that were pursued regardless of cost or chance of success. Humanity is capable of such feats, when it feels like it. If humanity ever does face an existential threat that requires some awesome new form of technology to face, I’m confident we’ll be able to handle it; we’ve done it before. Solving global warming, on the other hand? Not so sure. 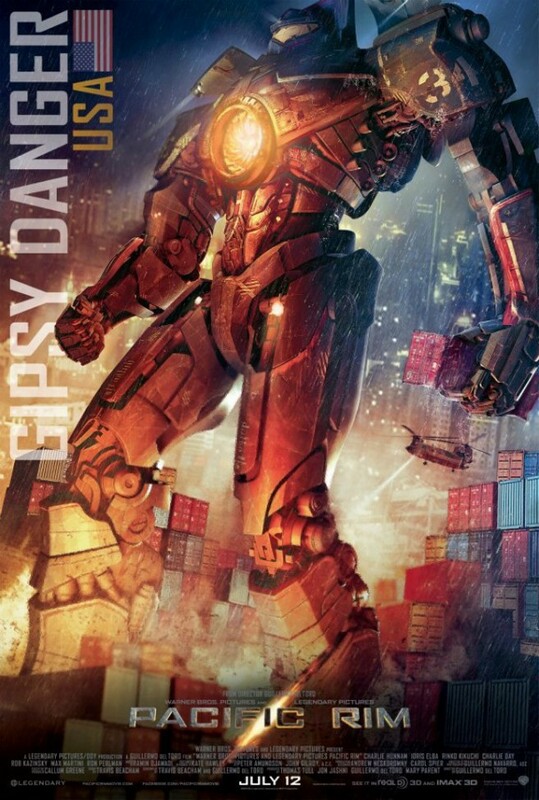 “Pacific Rim’s” Gipsy Danger and Gigantor: Separated at birth? Just when we thought the giant monster versus giant robots genre was dead, Guillermo del Toro delivers a rocket-assisted punch of awesome to the nerdscape. Pacific Rim, due out in July 2013, tells the story of giant monsters called kaiju that emerge from an inter-dimensional portal in the Pacific Ocean to ravage humanity. To stop the kaiju, the world’s nations build giant fighting robots called jaegers. Del Toro calls the movie a “beautiful love poem to giant monsters,” and, if that doesn’t make you want to see Pacific Rim, you should check out the trailer. The plot of Pacific Rim will also sound familiar to fans of Neon Genesis Evangelion, but hopefully there will be a little less weirdness and existential angst than in that robots versus monsters anime. The design of the main jaeger also seems familiar, at least to me. Pacific Rim’s two protagonists, Raleigh Beckett (Charlie Hunnam) and Mako Mori (Rinko Kickuchi) pilot the United States’ Gipsy Danger, a supposedly obsolete model that looks a bit like the grandfather of all giant robots. Gigantor made his debut in manga form as Tetsujin 28 (Iron Man 28) in 1956, and came to the U.S. as a cartoon in 1964. In the American version of the story, Gigantor fought criminals and megalomaniacs with 10-year-old Jimmy Sparks, who used a remote control to operate the giant robot. Gigantor had no neck, and a large round torso that made him look like a garbage can with limbs. Gipsy Danger is obviously more sophisticated, but when I saw its visored “eyes” peering out from behind a high collar, I immediately thought of Gigantor. Gipsy’s long limbs and dark blue color clinched it. I’m certain this wasn’t intentional, but it is fitting that the latest and greatest giant robot resembles its literal ancestor. Along with Speed Racer, Astroboy, and 8 Man, Gigantor was one of the first Japanese pop culture exports, robot or otherwise, to make it big. If it wasn’t for that walking trash can, we wouldn’t be awash with anime and manga, and we wouldn’t have Pacific Rim.